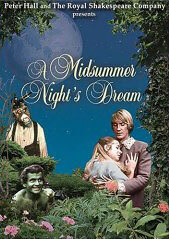 Peter Hall’s 1968 film version of A Midsummer Night’s Dream features the Royal Shakespeare Company including many actors who went on to great things like Judi Dench, Helen Mirren and Diana Rigg. I had a schizophrenic experience with this film. I watched half one night and half the next. The first half I found nearly unwatchable. The second half, I loved. It was so strange that I forced myself to re-watch the first half. I still hated it. Let’s start with the problems. It feels very 1960s mod with the girls in their minis and eyeliner and the boys with their moptops. There are odd camera angles, frenetic editing and bad special effects. The fairies run in large groups, reminding me of Planet of the Apes (also released in 1968—maybe it was the style). The wandering around in the woods with a moving camera reminds me of Blair Witch Project. None of this is good. I just could not get a read on this movie. My biggest problem: I really dislike the fairies—I mean, extreme distaste for these fairies. All the fairies are painted green. Their green skin makes their red lips and white teeth stick out in an odd way. It’s a bit overdone for me. Puck (Ian Holm) is an annoying green menace with a strange tongue tic. I dislike him very much throughout the movie. I also dislike Oberon (Ian Richardson). He looks very 1960s sci-fi/alien to me and his makeup is more metallic green than the others. It’s off-putting. 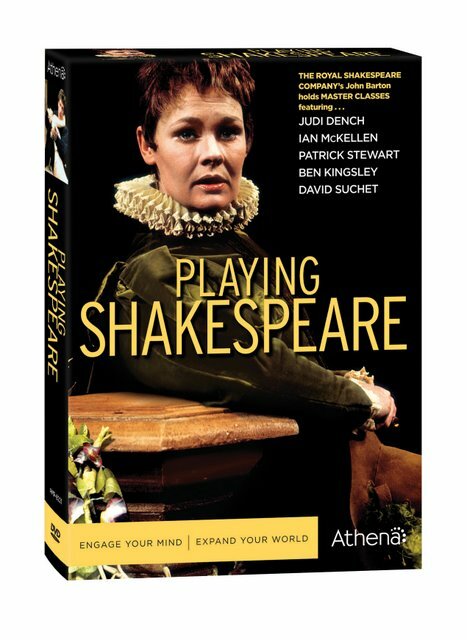 I don’t even like Judi Dench as Titania, although her costume (or lack thereof) is eye catching! So what changes midway through this film? All I can tell you is I resumed play on the second day just before the one-hour mark (it’s a two-hour movie) while I was heating up dinner in the kitchen. At this point in the film, the Athenian lovers are starting to quarrel in the forest. I wasn’t paying much attention at first, but a few minutes into it, I realized I really liked what they were doing. The whole feel of the movie changed for me. The mechanicals came out to rehearse and I realized I really enjoyed them, as well. So, I continued watching through the end with rapt attention. I can say the second half is really enjoyable. The four lovers and the mechanicals are wonderful—maybe the best versions I’ve seen in the films I’ve watched. For me, Paul Rogers really nails the character of Bottom. I loved his performance. This version of Pyramus and Thisby is also, I think, the best version I’ve seen. Watching it, I got the feeling it was exactly what Shakespeare intended… rustic and silly and unselfconscious. So, I feel very mixed on this film. The fairies are the worst. The young lovers and the mechanicals, the best. What does that make the film as a whole? I’m not sure. I wonder if I’d watched it all in a single sitting what my reaction would have been. As it is, I’m glad I saw it. Your mileage may vary.